On the second day of Giveaway - DEARDEER. My dear friend Chelle is a super brilliant designer but an even more kind hearted and truly compassionate gal. DEARDEER Decor has created the most splendid Satin Pillow Slips to pamper your hair and face while you sleep. They maintain the natural moisture balance in your hair, minimize facial wrinkles and puffiness! And they make you look thinner! Recommended use - 8hrs daily for best results! Size- Standard 45 cm x 70 cm. 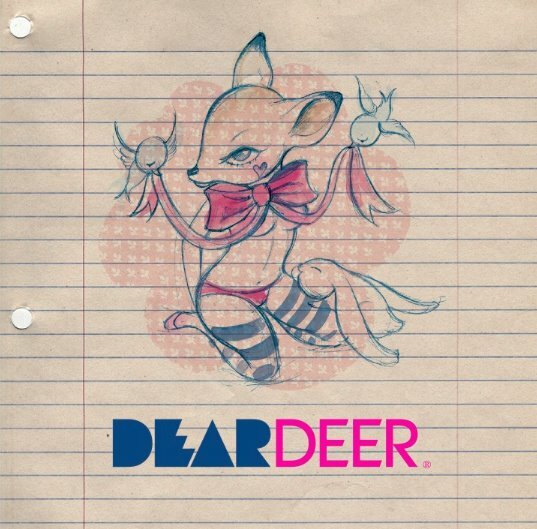 DEARDEER was a proud supporter of Movember and the pink ribbon of the logo is to highlight Breast Cancer awareness. 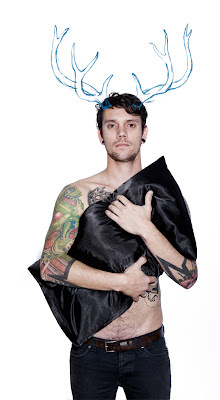 DEARDEER is giving away a standard black satin pillow slip, ooh there's going to be fighting in the bedroom. Once you have placed your tired cheek upon one of these babies there's just no going back, please don't hate me! Our whole family has succumbed to their glory, including our small who has a Candy Pink set like a duchess of dreams! Have a peek at another happy sleeper here! And fellas don't think you'll be immune to these slinky numbers charms. Check out this review by one of your own. What a great charity - does the tattooed boy come with the pillow slip please? He he now that would be a giveaway!